With more than 8 hours of sleep, we were all in good spirits today. It was made even better with our first stop: an impromptu tour of the Beryl’s Chocolate Factory in Imbi. It’s not where the chocolates are actually made, but it’s a whole store devoted to nothing but Beryl’s wide selection of chocolates. Aside from their best selling Tiramisu (which is a lot like Meiji’s Meltykiss, but less melty), Beryl also pair their chocolate with the most unusual ingredients: durian, chili, and even tongkat ali. From Imbi, we rode the short distance to Bukit Bintang to sample KL’s shopping scene. Ironically, it was the three guys who were carrying bags when we met up at the lobby. I set off to look for the usual toys: Pinky St, Pullip, Re-ment and Blythe in Sungei Wang, but ended up disappointed. I think I’ll try my luck at Berjaya Times Square tomorrow during our free time. Speaking of tomorrow, our activity this afternoon was at the Mines Wellness Center, where we sat through a couple of talks from Tourism Malaysia and Malaysia Airlines, as well as a press conference with the Chairman, Dr. Victor Wee. We were all dreading this, since this is the one activity that required us to dress up. However, it ended up pretty good, since we were able to meet the participants from the Philippines. 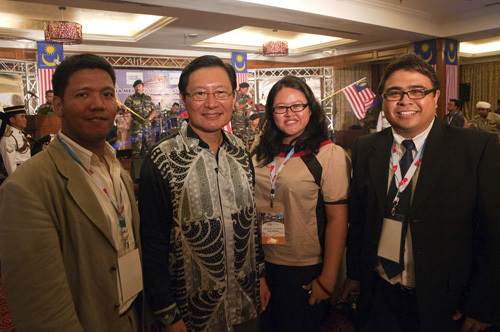 The banquet that followed was quite enjoyable as well, as we were entertained by no less than Datuk Dr. Wee himself. Speaking of entertainment, the army band that was on stage surprised several contingents from various countries by singing songs from their native countries. The first song in their set list: Dahil Sa’yo. It was a lovely gesture that set the tone for the evening. Of course, one of the main focus of this trip is Merdeka, the celebration of Malaysia’s independence. The celebration for their 52nd year is rather subdued this year, so I guess they channeled all their Merdeka energy to the banquet. They were so enthusiastic that it’s hard not to feel the positive energy in the room. Then again, I guess it’s also in part of the good news we received that night: we’re heading south tomorrow, to Malacca. I can’t wait. 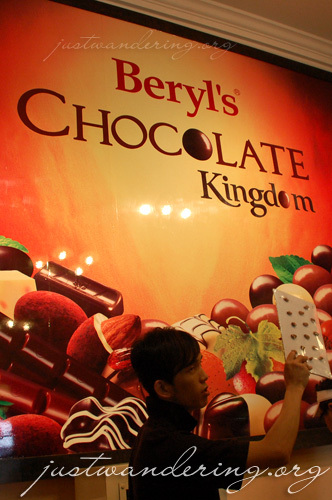 I stumbled upon Beryl Chocolate when I was in Penang some weeks back. There was this chocolate store quite near the mansion of old man Cheong Fat Tse. Tried every chocolates they have including the Tongkat Ali. Re: Malacca, I hope you will enjoy it as much as I did during my last 2 visits… Eat chicken rice balls at this famous red colored shop in Jonkers Walk. Chocolate with durian and chili sounds intriguing… but chocolate with tongkat ali sounds positively dangerous! LOL!!!! Seriously, I’m excited what else you will discover on this trip. Did you try their chilli chocolates? that’s what i bought, among others. masarap naman, medyo weird lang. Nina, actually cannot remember… Everything was a blur, when we were inside the store we were the only customer and they just let us taste everything!! Did you try their chilli chocolates? that's what i bought, among others. masarap naman, medyo weird lang….